Is your partner the one you should marry? Sure, you and your partner love each other, you connect well and have a rather healthy relationship�but is your partner the one you should marry? Being a great boyfriend or girlfriend is different than being great spouse material. Many people assume that just because they get along great with their partners as boyfriend and girlfriend, that they will automatically end up married, living happily ever after. The sooner you find this out, the better, because it will really prevent a lot of confusion and heart ache later. However, even if you have been with your partner for many years, it does not mean you should stay in the relationship simply because you have been together for a long time. The first thing you need to do is understand what your goals are with your relationship. This way you will be fully aware of your expectations and standards and can then focus on your partner and see whether you two are on the boat or not. So, how can you tell whether your partner is the marriage �type�? Well, the signs are very clear to read, if you are just willing to see the truth and nothing but the truth, even if it is not always what you want. The first step in seeing this truth, is throwing your blinders away and to observe all angles of your relationship- not just the wonderful parts that you want to see. If you are the type of person who would like to settle down and get married when the time is right, then you are naturally going to want a partner who will have the same dreams and goals as you when it comes to love and relationships. While this is only natural, you should not assume that just because you are involved with your partner in a serious relationship that it will end in marriage. This is exactly why you must talk about this with your partner once your relationship reaches a comfortable enough point to talk about marriage and commitment. Your partner tries to change the subject or brushes you off whenever you bring up marriage. He or she tells you that marriage is not something that he/she is too crazy about. Tells you that he/she wants to marry you, but keeps making excuses on why you cannot marry now and keeps you waiting for a long time (years). 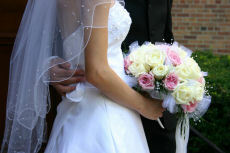 To Continue part two of this article of:Is Your Partner the Marrying Type?